Need to catch up on what happened this decade? I chose the video with the least disturbing images. 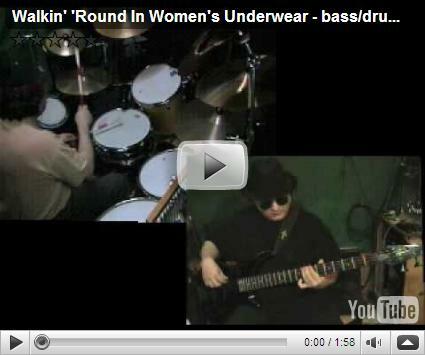 You don't really want to google "walking 'round in women's underwear". Also, my fifteen-year-old sister knows the lyrics to this version of the song by heart, but can barely remember the original. I'm not sure if that's funny or sad. I'm on my way to the monthly celebration. 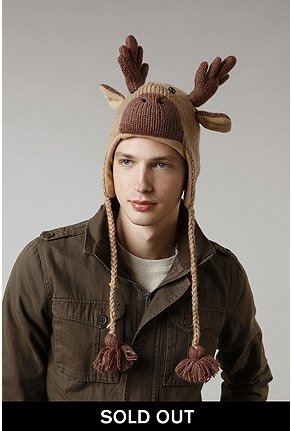 This month Urban Outfitters were out of Moose Caps (like the one below). Do you know what that means? Thousands of American wannabe-hipsters are honoring the Moose! Moose Cap is mainstream. I got Moose Cap presents this month, and now I have an actual Moose Cap to wear with my Official Moose Cap T-shirt (tm). Or maybe it's more of a Double Moose Headband. I'm sure there will be photos. Wait, what's Moose Cap? Learn about the tradition of the Moose here. I don't currently share a zip code with my big computer, the one I usually blog from, where I have Spotify, and where all my Christmas countdown drafts are stored. The big computer has been getting slow lately, maybe because I have way too much Christmas music saved on the hard drive. I went out with friends last night. And then I got up really early to finish The Research Paper. My brain is as slow as my computer. I have forced my way through three-quarter curse with an interview I'll be publishing soon, and I need to use what little brain power I have left to put the finishing touches on that. Tonight I will be going out again, and then tomorrow I'll be getting up early again. There is no time for sleep at Christmas, when there are post-research-paper parties to attend and rum-flavored desserts to make. Which is why the Christmas countdown needs to take a break. I will probably still blog most of the Christmas posts I have planned, but I am just not able to follow the schedule right now. It is technically impossible with my current brain and computer situation. Read and listen to the Christmas count-down up to the 14th + bonus reader suggestions here. I saw snow today! It isn't really lovely weather for a sleigh ride, but it's a start. The main point of this entry is that Ella Fitzgerald's Christmas album, Ella wishes you a swinging Christmas is the one I would choose if I could only have one. You can listen to most of it on YouTube, order it on Amazon and find a shorter version of it on Spotify. "I prefer Christmas songs in English," I told my family a few days ago, "Christmas lyrics in English remind me of celebrations. 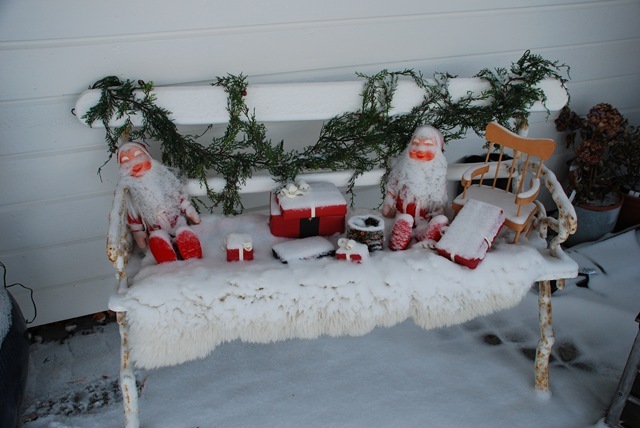 Christmas lyrics in Norwegian remind me of doing homework." "Well of course" my mom answered, "We move back here, you get older, and December is all about studying for end-of-semester exams." "That's not what I mean," I protested, "Norwegian lyrics remind me of when we first moved back here, and I had to learn all the Norwegian lyrics as homework because I didn't know any of the Norwegian songs." It's simple: I grew up in English, and Christmas is all about nostalgia. My sister, who is only two and a half years younger than me, has a very different connection with the Norwegian Christmas songs. Here's two different versions of Silent Night in Norwegian. Oddly enough, they have two completely different lyrics. I'm blogging about Christmas music every day until the 24th. We're halfway to Christmas Eve! Maybe it's much too early in the game, but I thought I'd ask you just the same: What are you doing New Year's Eve? New Year's Eve can be so stressful. While Christmas Eve is all about tradition, New Year's Eve needs to be planned year-by-year. Everyone gets their expectations up, and then dashes them by getting drunk and sentimental. A boring party on any other night is easily forgotten, but a boring New Year's Eve party will be remembered as a major FAIL. And an actual failed party - the kind where more than one guest cries - will somehow manage to make the whole year seem like a FAIL. The key to a good party is good people. My dream New Year's Eve involves being surrounded by my favorite people - the kind it would be ok to get drunk and sentimental with - and drinking champagne while wearing an awesome outfit. Luckily, that is my actual plan this year, and it has been since January 2nd 2009. I see no way this can go wrong. My expectations are rising day by day. I'm almost more excited about this party than I am about Christmas. I clearly need to calm down, because if this party fails, it will mean that I leave this decade - the first one I can remember in its entirety - with a FAIL. Make a plan and stick with it. Commit to celebrating New Year's with specific people, and then don't bail on them. Making some elaborate party-hopping plan or improvising four hours before the end of the year will not work out. Drink real champagne before midnight. It's good; don't share it with five drunk strangers in the park just because it's midnight. That's what cheap bubbles are for. Don't drink too many bubbles. And don't drink too much of anything that will make you sleepy, like red wine. Don't start the new year by going to sleep immediately after midnight. New Year's is an excuse for staying up all night. Wear your nicest outfit. No matter what you end up doing, you should look good doing it. There will be so many photos. Make some sort of plan for January 1st that allows for hang-overs, without being completely boring. I prefer waking up in the beginning of a new year thinking "It's time to meet last nights' people, do the dishes and watch a movie" as apposed to "I survived last night and live to see another year. Now what?" Make sure there is food available. The reason for this is that popular culture-wise, my parents are like young children. Not that their tastes are childish, but just like toddlers, they will watch or listen to the same thing repeatedly. Growing up, I got the impression that my parents watched Four Weddings and a Funeral every night, and played The Roches' Christmas album We Three Kings on a continuous loop every December. 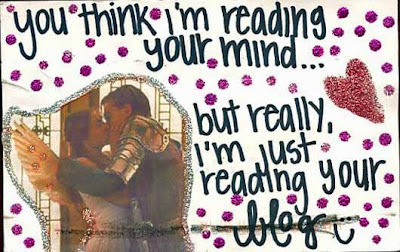 Why do you think we had to impose The Love Actually Rule? Not because of me. Most of the album is not in Brooklynese, but Winter Wonderland is. 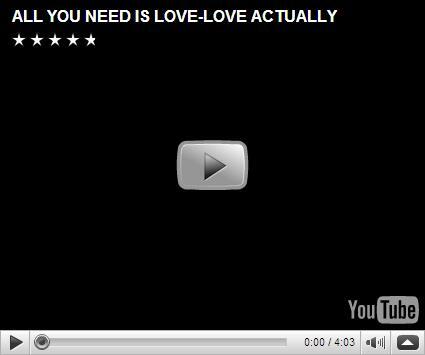 I don't think I fully understood that this was a joke until I had already heard the song 50 million times. So many of the live versions of Winter Wonderland that I grew up with (read: my parents' friends singing at Christmas parties) were in variations of Brooklynese or Boston English anyway, so I assumed it was normal. Around the same time I got the linguistic joke, I realized that Winter Wonderland isn't about Christmas at all. It's about hooking up or romance (interpret as you will) in a cold climate. Something Bostonians, New Yorkers and Norwegians can all relate to, which might be why it's so popular. Due to computer problems, the Nobel Peace Prize, my research paper, Regina Spektor and a very important meeting, I can't really blog today. But here's a Christmas song. That's all for today. Enjoy this Christmas EP from A Fine Frenzy while I write my research paper. They say that more people commit suicide in December than any other month, due to "holiday blues". Apparently the increased suicide rate is "about as real as Rudolph the Red-Nosed Reindeer". Christmas can be stressful (gift-buying, seeing relatives you avoid with good reason for the rest of the year, eating and drinking more than you probably should etc. ), but - at least statistically - this is all balanced out by joy to the world. Fa-la-la-la-la-la. So on average, we're all doing well. But if you're not, the fact that everyone else's increased happiness is keeping the world's average joy up, isn't really all that helpful. For those who are not so merry - for whatever reason - the idea that this is "the most wonderful time of the year" can seem a little bit forced. That's the part of the lyrics they changed, because muddling through wasn't jolly enough for Frank Sinatra. Plenty of newer Christmas songs are about being sad at Christmas, but this is one of the classics, first recorded in 1944 for the movie "Meet me in St. Louis". It isn't some whining emo rant either; in the original scene, Judy Garland's character is trying to cheer up her little sister. This song is about acknowledging that things are not exactly as they should be, but you're going to be ok, and Christmas will still be merry. Just in a smaller, quieter way. I think Aimee Mann's Christmas album has some of the same feeling to it. No fa-la-la-la-la, just quiet promises to try to be home for Christmas, a wish that it were whiter and of course reassurance that all your troubles will be miles away, eventually. Oh, and she covers Mr. Grinch. Hark how the bells, sweet silver bells, all seem to say "Throw cares away; Christmas is here!" That's what they seem to say, but this song is about running through deserted winter streets alone, because someone is going to break into your house. Now listen to Carol of the Bells from the movie. Soon afterwards, a real live bad guy attempted to break into my grandparents' house. He tried to enter through the porch door, and my grandmother frightened him off by staring at him through the window. I learned that people like the "Home Alone" burglars were real, and that my grandmother was actually pretty scary too. The same year, we started learning about stranger danger in school. I accepted that at some point during my childhood, someone would either kidnap me or break into my house. Clearly, it was a fact of life. That didn't make it any less scary. A burglar climbed through my bedroom window. After dreading it for a decade and a half, the experience was actually kind of disappointing. 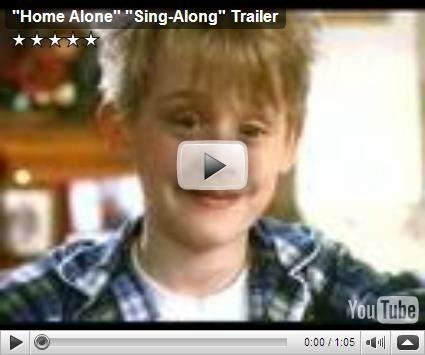 This year, if I watch "Home Alone", it will be for Christmas nostalgia value. If I can't see the VHS we taped from television - complete with commercials urging me to "come see the softer side of Sears" - I won't bother. But Carol of the Bells is still creepy. 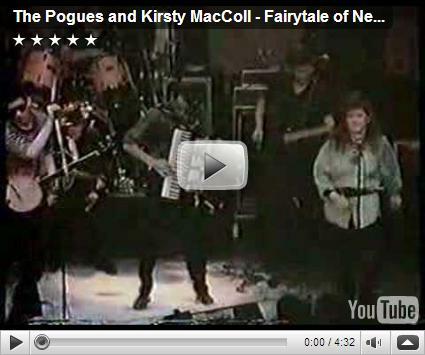 More Christmas music according to Julie. On the twelfth day of Christmas, my true love gave to me. uh. FIVE GOLDEN RINGS! I once knew this song by heart, really I did. And I once calculated exactly what the singer receives from his/her true love in total, all twelve days of Christmas (364 gifts). What I did not do, was calculate how much all of this would cost with today's prices and then compare that to the cost of twelve days of Christmas over the past 25 years and then come up with the Christmas Price Index. But PNC Wealth Management did. Norwegian online newspaper Nettavisen (which translates to "The Online Newspaper") had a great article about this, taking it very seriously and interviewing a professor in marketing about whether this could really tell us anything about the economy. The cost of both golden rings and French hens are up 43 percent, while geese a-laying and a partridge in a pear tree are both less expensive this year compared to last Christmas. Tor Wallin Andreassen from the Norwegian School of Management says that demand for luxury goods (like imported hens and gold) might be up because we're comforting ourselves - and our true loves - in difficult times. Meanwhile, we buy fewer geese. "Given the unemployment rate today - especially in the USA - I doubt that the price of nine ladies dancing has really gone up," says Andreassen. No, really, what fun is it? Because I just realized that I have never had that experience. And I came to this realization after coming up with a big theory of how my taste in Christmas music mirrors my taste in January-November music. And although I officially have no taste in music, I like being able to relate to lyrics. That clearly isn't why I like Jingle Bells. Even so, the easiest way to make me feel like it's Christmas is to play me a jazz song about sleigh rides. I think it's all about nostalgia. The most popular song ever is about wanting Christmas to be the way it used to be. 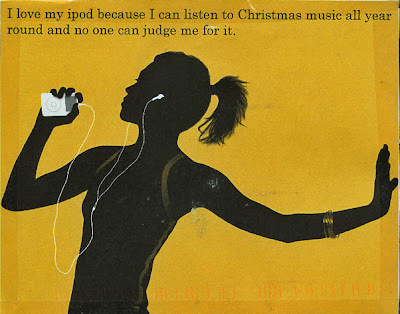 Which I guess is why my younger sister wants traditional Norwegian Christmas songs, and I want Jingle Bells. Because that's what we used to sing at Christmas parties with my parents' friends when I was around six. 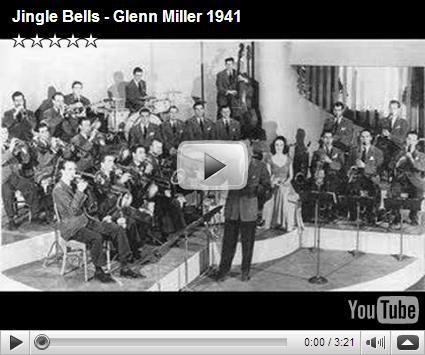 There are hundreds of jazz versions of Jingle Bells. Here's ten of them from Spotify. There is also more than one Crazy Frog version of Jingle Bells. I have no plans to link or listen to those. Mr. Grinch, given the choice between the two of you, I'd take the seasick crocodile. 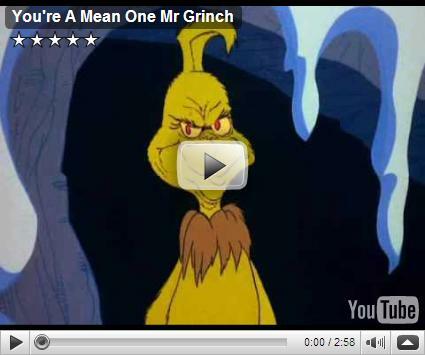 What makes the Grinch cartoon so great? It's based on Dr. Seuss. Enough said. It manages to include insults like "You're a three-decker sauerkraut and toadstool sandwich with arsenic sauce" in a Christmas song for young children. It really is all about Christmas, not just a story set at Christmas-time. It reminds us that Christmas is not about the presents and decorations, and it doesn't get religious or even all that sentimental about it: "Maybe Christmas, perhaps, means a little bit more." Most of the movies you loved as a kid are less riveting now, and losing interest in a full-length Christmas tradition halfway through is not a happy feeling. This one is 26 minutes long. You can give it your full, undivided attention in between turkey bastings - or maybe between carving the "roast beast" and opening the "bizzle-binks". Why does Mariah Carey's "All I want for Christmas" get on my nerves, while Olivia Olson's cover version makes me smile? Because Olivia Olson sings the song in Love Actually, the movie my family likes so much that we eventually made a rule that we would only watch it in December. Before this rule, Love Actually was just a movie, not really a Christmas movie. I still think it's about love, coincidentally happening around Christmas. But now all parts of it are Christmasy. Am I really dreaming of a white Christmas? Bing Crosby's "White Christmas" is generally assumed to be the best selling single of all time. So if I'm going to put together a Christmas-music-themed countdown-to-Christmas blog post series, I should include this classic. Why though? It's not all that catchy. It borders on sad. I don't actually dislike it, the way I dislike say, "Last Christmas". * It's just that the message seems to be: Christmas was fun once, but now it's not. Or is it about racism? Global warming? It's not bad, but I can't really relate. So I did some research. Meaning, I looked this up on Wikipedia. And it turns out, Irving Berlin's original version of the song explained why the singer was not experiencing a white Christmas: this takes place in Beverly Hills, in California. That makes so much more sense to me! I spent one Christmas in Sydney, Australia, and it doesn't feel like Christmas when Santa wears shorts. *I really wish "Last Christmas" were called "Last Easter" or "Last Summer" or "Last Weekend" so that it wouldn't be recognized as a "Christmas" hit, and I wouldn't have to hear it every time I go to a coffee shop or enter a store in December. "Outrage as vandals wreck gingerbread town" - The Norwegian Gingerbread Crisis explained in English by Kristine Lowe. Hele pepperkakebakehistorien fra Hakkebakkeskogen er på Spotify. Jeg regner ikke pepperkakebakesangen som en julesang egentlig, men pepperkaker har vært så fremtredende i media at jeg synes jeg burde blogge om dem. Smelt smør eller margarin i en stekegryte. Rør sukkeret sammen med det smeltede smøret. Mens smør og sukker skummer, rør inn eggeplommene og hvetemelet. Slipp til slutt pepper i gryta. Rør omkring og tøm deigen på en fjøl. Kjevl deigen så flat som en pannekake. Ta mann- og kone-former og lag mann- og konekaker. Legg dem på kakebrettet og stek dem i stekeovnen. MEN: Denne oppskriften lager ikke gode pepperkaker. Den ble testet av en flink kokk i fjor, og det ble ikke bra. Noe annet som ikke er bra, er standarden på norske pepperkakehus. Det melder Aftenposten. SINTEF Byggforsk råder oss til å bake etter forskriftene. Heldigvis har de laget en anvisning (pdf) så vi alle kan lage pepperkakehus på en forsvarlig måte. Men uansett, ikke bruk Thorbjørn Egners oppskrift. Oppdatert 22.12.2009: Aftenposten har testet begge oppskriftene. Se videoen! Etta James - What are you doing New Year's Eve? Due to technical difficulties, I had to stop writing the Christmas countdown. Fortunately, readers sent in suggestions for more songs. Thanks!